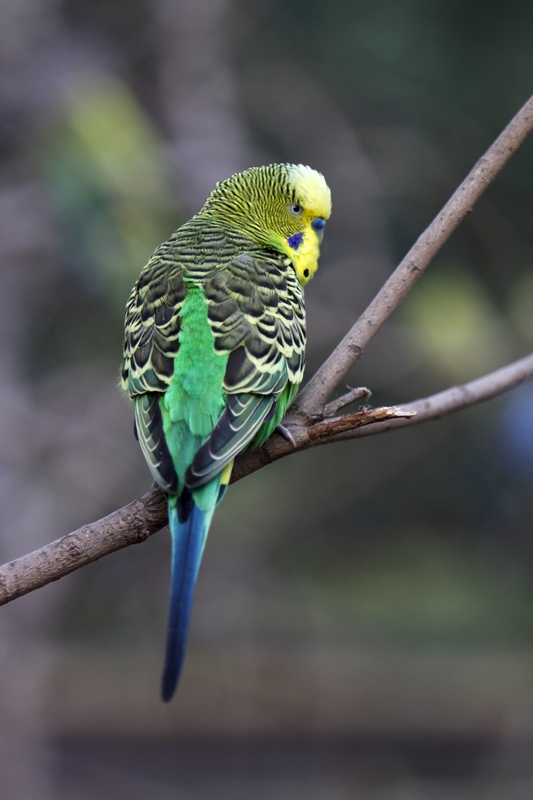 Budgerigars make excellent pets, provided the owners are aware of their needs. 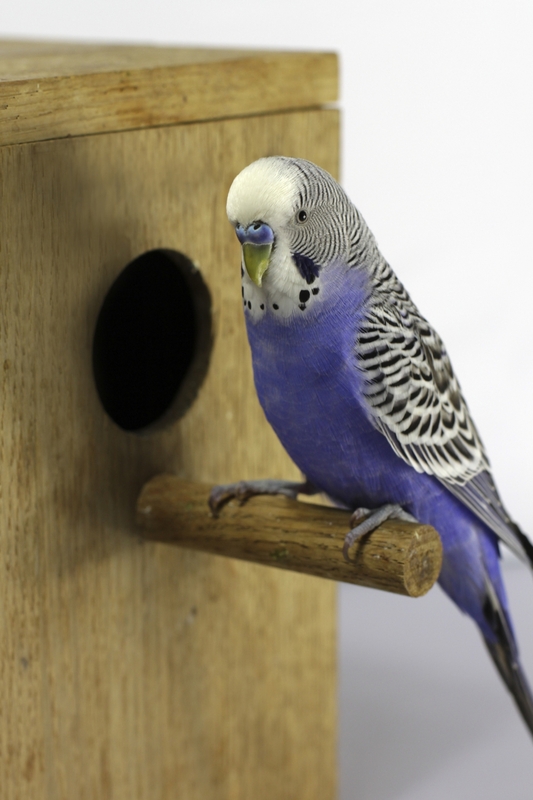 BirdEden provides information on budgie bird care, focusing on aspects such as the size of their cage, diet, and health issues. While humans can register just 15 images per second, budgies have the ability to register 150 images in a second. Many bird lovers, especially those who are thinking of keeping a pet bird, will agree that a budgerigar is one of the best options. When it comes to their physical appearance, there's a lot to choose from. Over the years, breeders have been able to develop variations in colors and markings. So, you can select the bird based on the color of your liking. 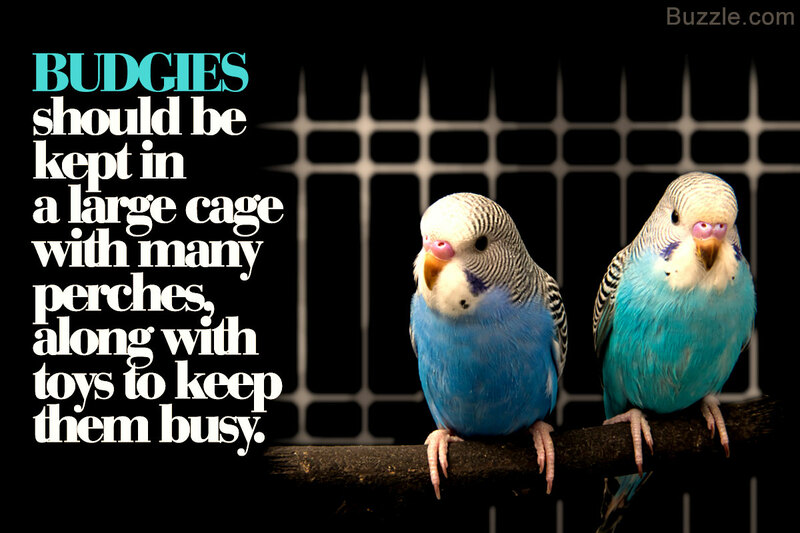 If you think that you will not be able to spend a lot of time with your pet, make sure that you keep two budgies. This is to ensure that the birds are not lonely. Though interaction with the owner is extremely essential, equally important are other aspects such as their diet and cage requirements. If you take proper care of your pet birds, they are likely to live longer and charm you with their sociable nature and playful personality. Caution is advised in case you have a dog or a cat at home. While cats are known to hunt birds, the movement of birds is likely to attract a dog's attention. They shouldn't be allowed in places where the bird is free. ✦ While buying a cage, make sure that the cage is quite wide. Buy the biggest possible rectangular-shaped cage. The width and length of the cage should be at least 1.5 feet. Basically, there should be a lot of space for the bird to hop or fly. ✦ The bars of the cage shouldn't be wide. The spacing between the bars should be less than ½ inch. This is to ensure that the bird's head doesn't get caught between those bars. ✦ The cage shouldn't made from materials that are toxic. A wire cage made from stainless steel would be fine. 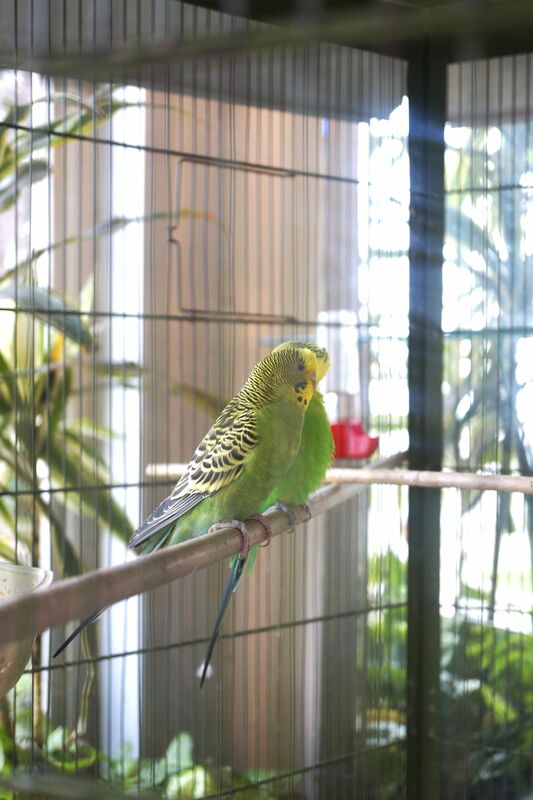 ✦ It is advisable to place several perches within the cage so that the bird gets some physical exercise. The perches can be of different sizes. It is advisable to use perches made of natural wood, with the diameter being at least 1.5 cm. Keep the perches at opposite ends of the cage so as to encourage the bird to fly from one perch to another. ✦ You can even use real tree branches of varied thickness. Their uneven surface helps in promoting circulation in the feet. Don't use perches that are covered with sandpaper, as these can hurt the bird's feet. ✦ Mental stimulation is equally important. So, provide your pet budgie with toys. You can put bells, rope ladders, swinging perches, etc. This is to provide mental stimulation. 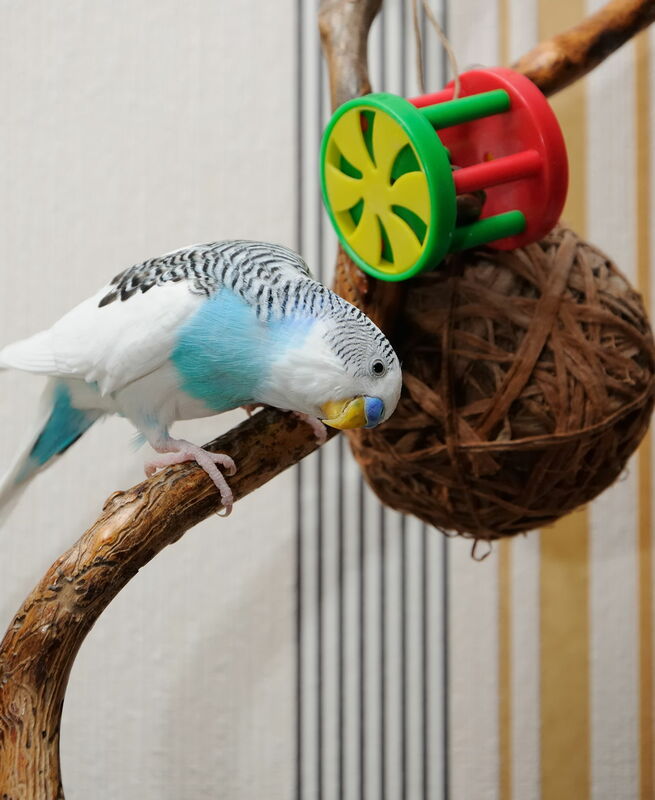 Also, rotate the toys so that your pet bird doesn't get bored with the toys. ✦ Don't forget to place cuttlefish bone or mineral perch in the cage. Cuttlefish bone helps in preventing the beak or the nails of the bird from becoming overgrown. ✦ The cage should be positioned in an area that is not exposed to hot or cold drafts. So, refrain from placing the cage close to a window, furnace, or an air conditioner. 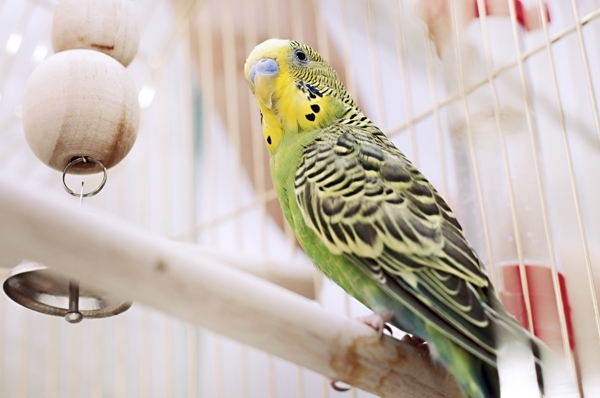 ✦ During winter, you could use a heating pad to warm up the bottom of the cage. Using a humidifier can help add moisture to the dry environment. 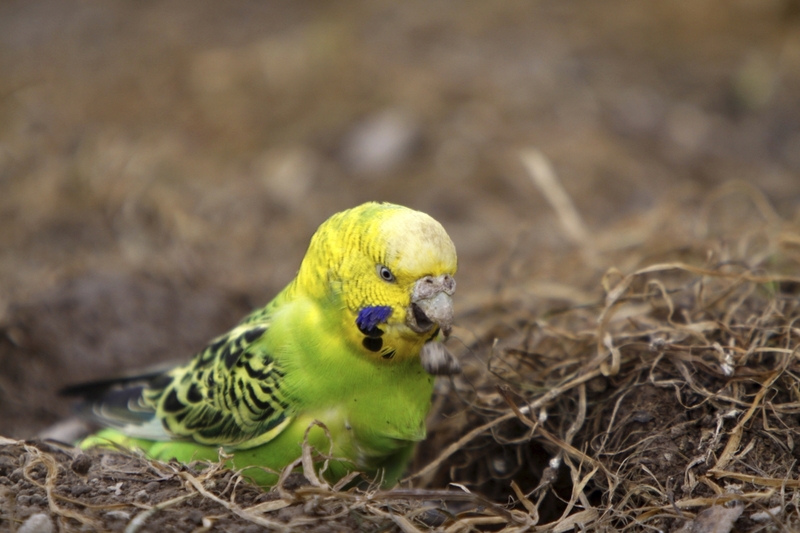 ✦ Make sure that budgies always have access to clean water. ✦ You need to provide water for bathing the bird. You can either spray them with tepid water, or place a bowl with clean water. ✦ Keep a cage liner or paper towel at the bottom of the cage, so that it is easier to clean it. You can also use a cage cover so that the bird sleeps peacefully at night. ✦ Keep the cage at a place that is out of reach of children and pets. ✦ Make sure that there are no gaps or holes in the cage or aviary that will allow the entry of mice or snakes. ✦ If you are leaving the bird out of the cage, make sure that the doors and windows are closed. ✦ If the cage is kept outdoors, it should be protected from harmful elements. Also, it should be protected from other pets. ✦ For mating, budgerigars should have completed at least one year. Before you let the pair breed, think about the responsibility of looking after the chicks. Otherwise, you should be willing to find homes for them. Also, you will need to attach a wooden nesting box to the cage. During this time, refrain from touching the eggs or the chicks. Not only are these birds good to look at, they make good pets due to their playfulness and ability to mimic. 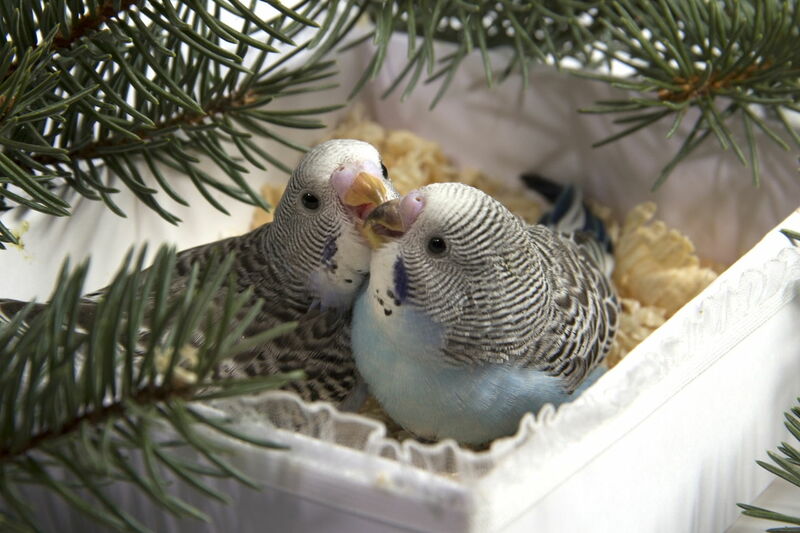 If you are interested in teaching your pet budgie to mimic, make sure that you bring home a male budgerigar. Males are considered to be better at mimicry, and are also easier to train than females. Also, young birds are easier to tame. 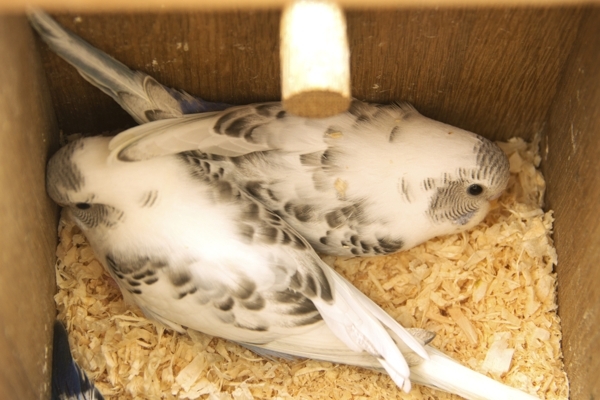 It is advisable to select a male budgie that is between the age of 6 and 8 weeks. In case of birds that are bought from a store, it's possible that the bird was placed with several birds in an aviary, and has not been handled. In such cases, you will have to work with the bird, so that it gradually learns to trust you. Thereafter, it will not feel threatened by you. ✦ After you bring your pet home, don't expect it to directly jump on to your finger or hand. In order to do so, your budgie has to feel comfortable with your hand. Don't just place your hand into his cage. Never shove in your hand to pick him up. Initially, place your hand in his cage, maintaining certain distance. 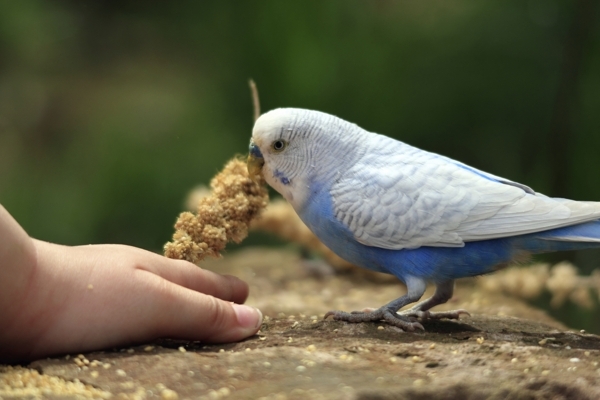 Do this for a few days, allowing the bird to get used to seeing your hand. Move your hand closer to your budgie gradually. After some time, your pet will get accustomed to it. 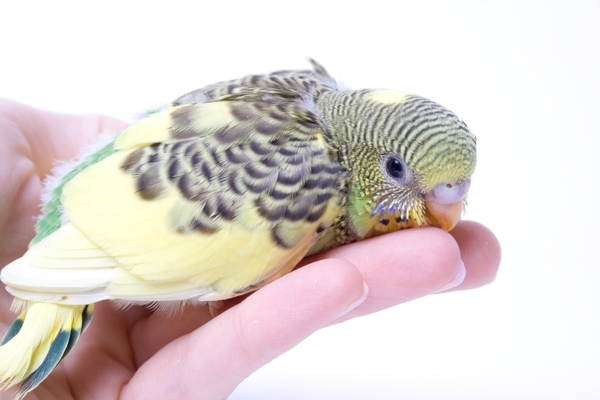 ✦ You can also use treats such as millet sprays to get your pet to jump onto your finger. Take your finger closer to the bird, putting it against the base of his chest. At the same time, offer the treat with your other hand. Once the bird hops on to your finger, let him feed. Over time, he will learn to jump right onto your finger whenever you place your finger against his chest. ✦ You can mix safflower seeds, groats, striped sunflower seeds, and canary seeds. ✦ Millet sprays and tonic seeds can be given as a supplement. 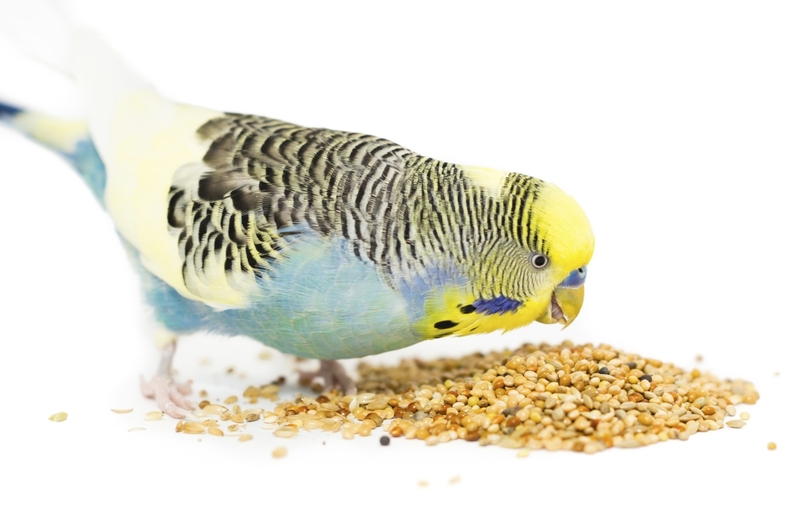 Though budgies enjoy millet sprays, these can be fattening, which is why only up to 2 inches of millet spray should be given as a treat. ✦ Pellets that are specially manufactured for budgies, or parakeets can be gradually introduced in their diet, by mixing them with seeds. 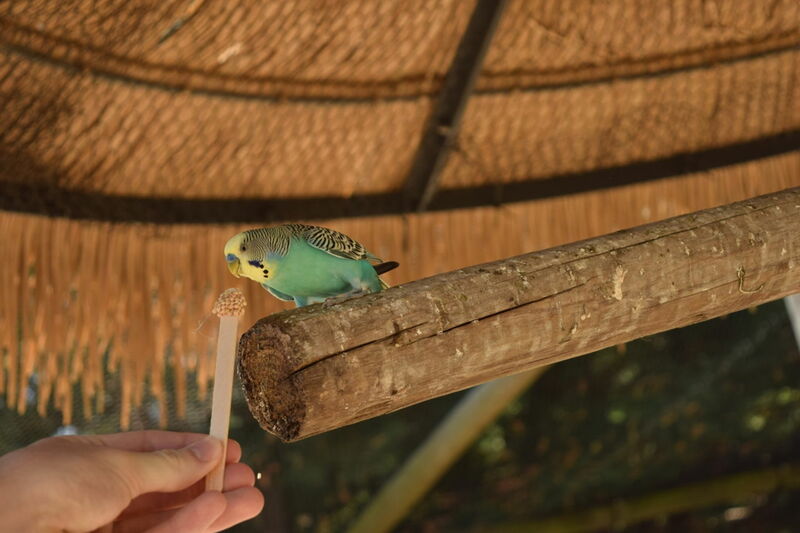 ✦ Flavored seed sticks can also be given sometimes as treats. ✦ Steamed and boiled vegetables can be given on a daily basis, whereas fruits can be given 2-3 times in a week. It must be noted that avocado is toxic to budgies. ✦ Make sure that you store seeds, pellets, etc., in an airtight container. Throw away all the leftover seeds or food as it can develop mold. ✦ Change in routine activities. These could be signs of diseases. It must be noted that budgies are susceptible to tumors, parrot fever (caused by Chlamydia psittaci), beak deformities due to Cnemodocoptes mites, infection by Polyoma virus, protozoal infections such as Trichomonas and giardia, Megabacteria infection, etc. If you are planning to bring home a budgerigar, you can either purchase a bird from the pet store or buy it directly from a reputed breeder. Though the ones that are bought from a breeder are more expensive, these are used to human interaction. Do not consider the bird just to be a source for your entertainment. It needs proper care and affection too. On a concluding note, the more time you give to your pet budgie, the better it is.